Brown Bag Research Discussion, July 12 - "Democracy is Sweeping Over the World:" Transnational Radicalism During the "Jazz Age." Please join the Reuther Library from 12-1 this Thursday, July 12, for a research presentation by Andreas Meyris on 1920s radicalism and its impact on the New Deal. Meyris studies American networks of radicalism and reform during the "roaring twenties." While historians correctly describe the twenties as "lean years" for progressive action, Meyris argues that American opposition to the corporate capitalism of the Republican Party becomes more significant when studying this decade. Twenties radicalism, then, may have played an important role in shaping New Deal reforms. Meyris plans to investigate the Reuther Library’s Brookwood Labor College Records in particular. The school played an important role in promoting industrial unionism prior to the creation of the Congress of Industrial Organizations (CIO). 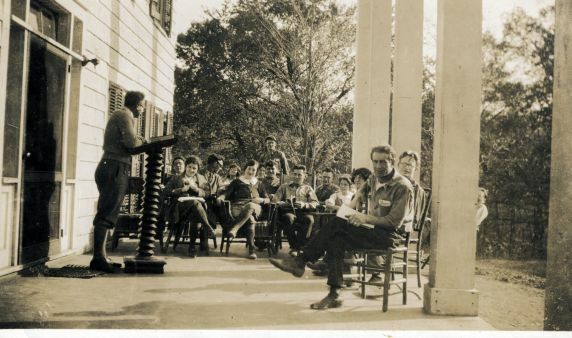 Brookwood kept in close contact with labor colleges abroad, hosted foreign labor leaders, taught courses in comparative labor and political studies, and specifically invited speakers who warned of the dangers of fascism in Germany and Italy. As Brookwood produced esteemed labor leaders like Rose Pesotta and Walter Reuther, its influence cannot be underestimated. Meyris hopes to explore the ways in which Brookwood Labor College served as a conduit for a transnational radicalism, demonstrating an intellectual-political network, and its subsequent influence on the explosion of industrial unionism during the 1930s. As always, feel free to bring a lunch and your questions for our visiting scholar!